Clouds. Fundamental Concepts and Parameterizations: Fundamental Equations Governing Cloud Processes. On Averaging. The Parameterization of Modeling of Microphysical Processes in Clouds. Radiative Transfer in a Cloudy Atmosphere and Its Parameterization. 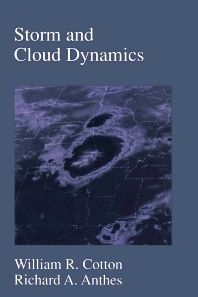 Cumulus Parameterization and Diagnostic Studies of Convective Systems. The Dynamics of Clouds: Fogs and Stratocumulus Clouds. Cumulus Clouds. Cumulonimbus Clouds and Severe Convective Storms. Mesoscale Convective Systems. The Mesoscale Structure of Extratropical Cyclones and Middle and High Level Clouds. The Influence of Mountains on Airflow, Clouds, and Precipitation. Atmospheric scientists, meteorologists, climatologists, atmospheric chemists/physicists, geophysicists, and physical oceanographers.